Brickwork Investment Research is part of Brickwork India, founded in 2005 by a couple from Wharton-Kellogg. 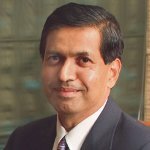 Vivek Kulkarni is former IT Secretary of Karnataka and Sangeeta, the CEO has strong background in corporate training from Kellogg and Boston University. Brickwork India is the pioneer and market leader of the Virtual Office concept and has gained worldwide recognition through various media publications including the New York Times best seller ‘The World is Flat’ by Thomas Friedman, ‘The 4 Hour Workweek’ by Tim Ferriss, and recently in Knowledge@Wharton, as well as in several international magazines and TV shows. A number of Fortune 500 companies are long term clients of Brickwork. The company’s team of committed analysts and professional problem solvers make Brickwork Investment Research a preferred solution provider among various financial professionals and institutions including, investment banks, brokerages, private equity, Hegde funds, asset managers, insurance and other investment firms. We have partnered with more 15,000 clients in 116 countries, to help them build the foundation to their success. Our clientele ranges from Fortune 500-companies to start-ups and entrepreneurs, spread across the world and across industries. Hence our engagement models are flexible and customized to address the wide range of business requirements. 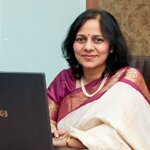 Sripriya has 16 years of experience with key skills in project planning and management, ISO 27001:2005, conducting compliance and process audits and mentoring teams. At Brickwork, she heads the CORE team, which is responsible for audit and compliance, MIS and Automation.